Home People Lauren Zinns, M.D. 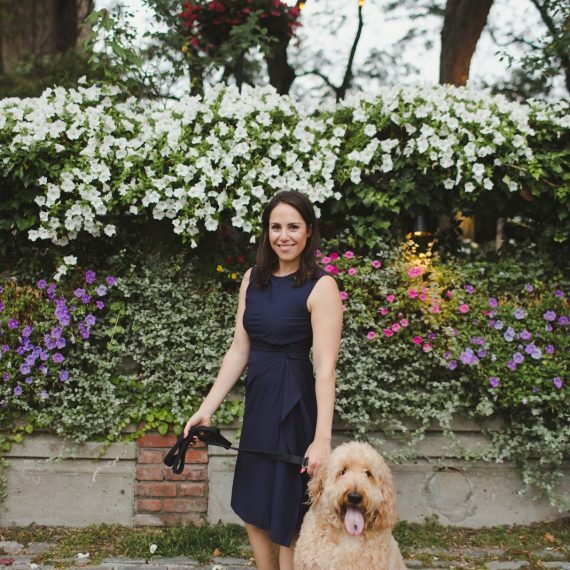 Academic Interests: Debriefing after resuscitations in the Emergency Department, Spreading pediatric knowledge to our satellite hospitals, teaching about the CHOP ED Pathways My Other Interests: running, travel, the beach, spending time with my husband Joshua, daughter Juliette (16 months) & our goldendoodle, Leo (pictured in the photo!) My Backstory in Brief: I'm from Villanova, PA. I went to Washington University in St. Louis for undergrad, Drexel University College of Medicine for medical school and did my pediatric residency at Mount Sinai. I completed my pediatric emergency medicine fellowship at DC Children's in Washington, D.C. and then worked as an attending at The Children's Hospital of Philadelphia (CHOP) before coming back to Mount Sinai in October 2016.